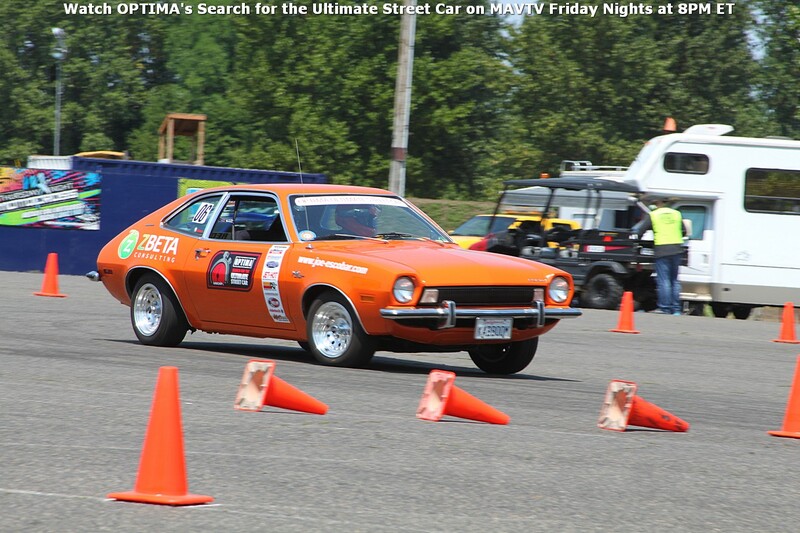 Each year the OPTIMA Ultimate Street Car Invitational is held, it seems the competition gets tougher and the cars get faster. After six years, one might think we'd found just about every fast wheelman in the country, who doesn't race cars for a living. Duke Langley is proof that the search is just beginning. 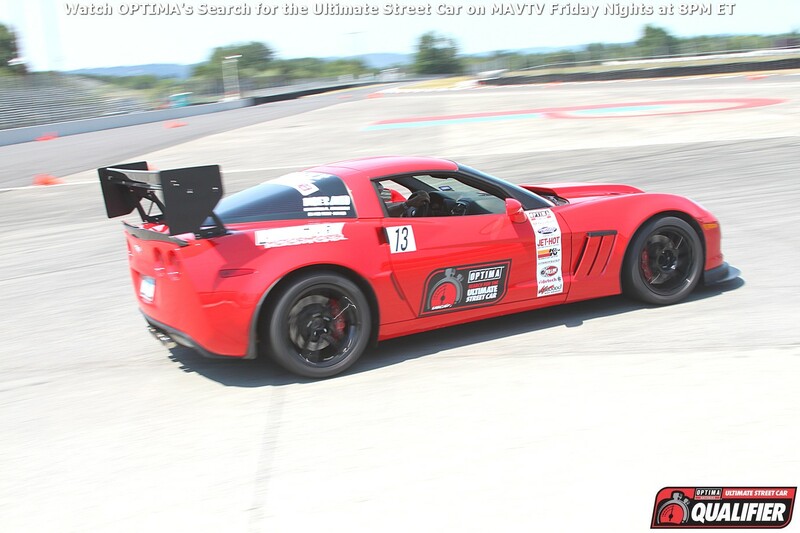 Duke qualified for the 2014 OUSCI in this 2012 Corvette Grand Sport in the very first Ultimate Street Car Association event he ever entered in Portland, Oregon earlier this year. Brian Hobaugh won the GT3K class in his legendary Camaro, but as he already had an invite to the OUSCI, Duke's second-place finish gave him the nod, with the two competitors separated by less than a point! One might say it was only that close, because Hobaugh's Camaro was penalized several points in the Lingenfelter Performance Design Engineering Challenge, due to the absence of some required "street car" features, like roll-up windows. However, the competition on the track was extremely close as well. When we previously-asked Brian Hobaugh which car he was bringing to the 2014 OUSCI to defend his title, he indicated he would be returning with his 1965 Corvette. Hobaugh conceded the Camaro was faster on the BFGoodrich Hot Lap Challenge, but that the shorter wheelbase and nimble handling of the Corvette made it quicker in the RideTech Autocross and Wilwood Speed/Stop Challenge. When Hobaugh's Camaro went head to head with Langley's Corvette at Portland International Raceway, which was just about the fastest road course on the USCA circuit this year, Brian's margin of victory razor thin- just .297 thousandths of a second! If Hobaugh is the man to beat again at the 2014 OUSCI and we know Duke Langley nearly outran him in his "fast" road course car, it could turn out to be a very interesting OUSCI in Las Vegas. Road courses are one thing, but anyone who has watched the OUSCI over the years knows it takes a really talented driver and a well-balanced car to come out on top in such varied track events. Fortunately for Langley, his driving resume is chock-full of experience, having competed in super late-model races on asphalt ovals around the Pacific Northwest, as well as SCCA Solo national events. The results on the RideTech Autocross at Portland speak to Duke's driving prowess in confined areas and his ability to modulate the throttle when needed on his 670-horsepower, supercharged LS3. The only drivers faster than Langley on the short course were three names very familiar in SCCA Solo National Championship competition circles- Mary Pozzi, Brian Hobaugh and Monty Pack. As with the BFGoodrich Hot Lap Challenge, the margin again between those top four positions was a scant .328 thousandths of a second! Moving over to the Wilwood Disc Brakes Speed/Stop Challenge, the story was very much the same, except this time Langley emerged on top. Of all the events in the OUSCI, the Wilwood Speed/Stop Challenge is often the most-challenging for newcomers, because it is often the first time they've ever encountered such an event, where both acceleration and braking are so important to the outcome. Langley's performance there was nothing short of impressive, as he made only five runs and his best three runs all were quick enough for the top spot. 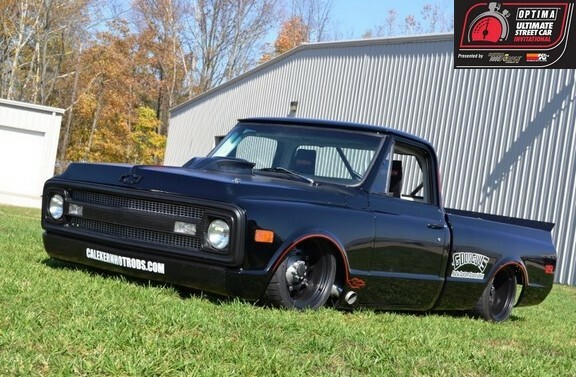 With such an impressive start, some might be tempted to try and improve things even more heading into the SEMA Show in Las Vegas, but that isn't the case for Langley. "I have been super busy with work," says Duke. "Nothing new will be done to the car, as I live in Oregon and the car is now back in Texas with my father." That is a strategy rarely employed, but there are more than a few OUSCI competitors over the years, who looking back on their experiences, wished they would've left good enough alone. For Duke Langley 3,360 pounds and 670 horsepower will have to suffice. Even with his stellar performance in Portland, Langley is very conservative about his chances of winning it all in Las Vegas. However, he expects he'd definitely put odds on himself for having the most fun. "I didn't know what to expect at my first event in Portland, but I had a GREAT time and I expect to have even more fun in Vegas," says Langley. While he is a newcomer to the field, he is familiar with many of the competitors and thought Danny Popp in any Corvette and Brian Hobaugh were both going to be tough to beat. Duke did want to acknowledge the assistance of several sponsors, including Duke's Auto in Umatilla, Oregon, Big 5 Tire in Longview, Texas, Amsoil lubricants and the whole crew at the USCA, who puts on these events, "because they are AWESOME and really know how to make people feel welcome," says Langley. Of course, an extra-special thanks goes out to Duke's dad, Fred, who allowed him to drive his Corvette in the competition. Duke is counting down the days and we are as well. The number is now just 52, so be sure to buy your OUSCI tickets and make plans to see it all go down on November 8th and 9th at the Las Vegas Motor Speedway!